3. Electronic Tabla and Tanpura (Qty 1 each). Widely available in India and on the net. 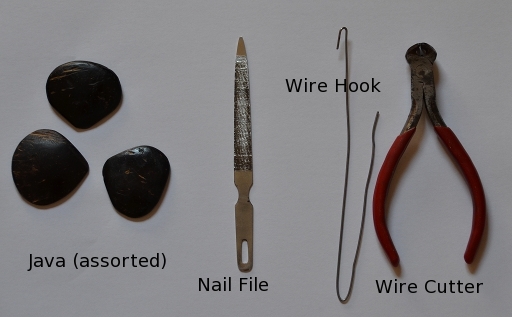 Some other tools e.g java, (plectrum)- also called jaba (by Bengalis), a nail file, a wire cutter (to cut strings) and a wire hook (to pull wires through the tarab string holes, especially for the tarabs located on the second row. 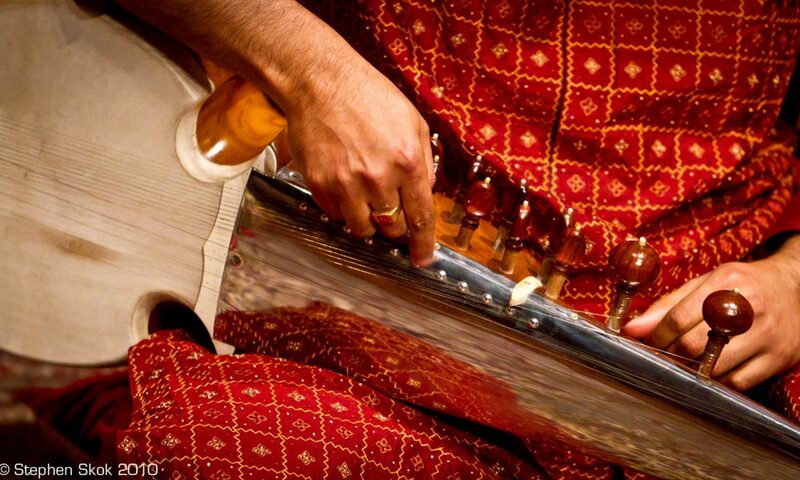 You will also probably need a small oil box (a piece of cotton dipped in coconut or some other light oil) – I don’t use it (possibly the only sarod player who doesn’t), but you should probably get it. This is the lubricant for the nails. The nail’s got to be sufficient to be placed on the fretboard to form a point contact without any other part of your finger touching the fretboard. As an example, here are pictures of my nails after a playing session (note – I can have shorter nails from time to time, so this is pretty much the max length). 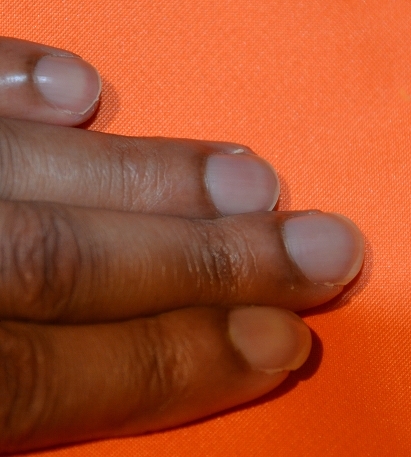 Ustad Amjad AK’s nails are kept much shorter – not more than 1mm from the edge of the finger. I will post more info. on nails and their maintenance in my next post.